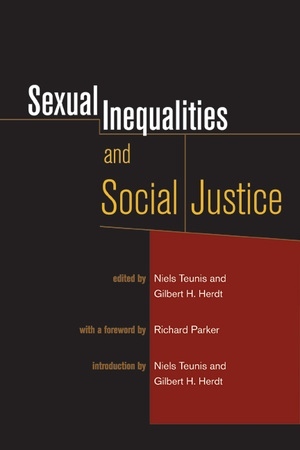 This pioneering collection of ten ethnographically rich essays signals the emergence of a new paradigm of social analysis committed to understanding and analyzing social oppression in the context of sexuality and gender. The contributors, an interdisciplinary group of social scientists representing anthropology, sociology, public health, and psychology, illuminate the role of sexuality in producing and reproducing inequality, difference, and structural violence among a range of populations in various geographic, historical, and cultural arenas. In particular, the essays consider racial minorities including Hispanics, Koreans, and African Americans; discuss disabled people; examine issues including substance abuse, sexual coercion, and HIV/AIDS; and delve into other topics including religion and politics. Rather than emphasizing sexuality as an individual trait, the essays view it as a social phenomenon, focusing in particular on cultural meaning and real-world processes of inequality such as racism and homophobia. The authors address the complex and challenging question of how the research under discussion here can make a real contribution to the struggle for social justice. Niels Teunis is Assistant Professor in the Program in Human Sexuality Studies at San Francisco State University. Gilbert H. Herdt is Director of the National Sexuality Resource Center and Professor in Human Sexuality Studies at San Francisco State University. Among his books is Ritualized Homosexuality in Melanesia (UC Press).